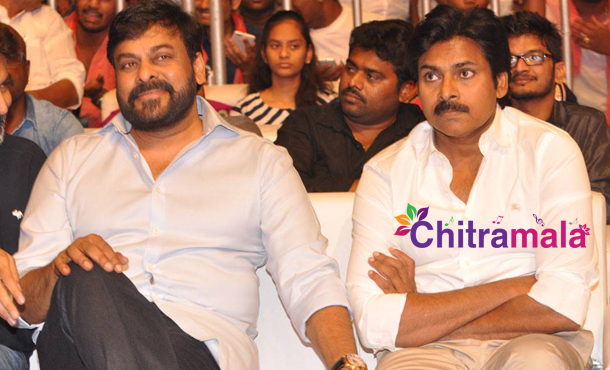 Pawan Kalyan & Chiranjeevi Locking Horns? Home / News / Tollywood / Pawan Kalyan & Chiranjeevi Locking Horns? Yesterday, it was announced that megastar Chiranjeevi’s 150th film, the remake of Tamil blockbuster “Kathi,” will be launched on 29th April. We have reported long back that Pawan Kalyan’s new movie, to be directed by Tamil director S J Surya, will be formally launched on 29th April. The two mega brothers are launching their projects on the same date. The two mega movies are being lunched on the same date because as per the Telugu calendar, 29th April is the last auspicious day of this season.Hence, instead of delaying their films waiting for next auspicious day, Pawan and Chiru have decided to launch their films on 29th April only. The regular shooting of both the films will start in June and interestingly both the films will be ready for release for coming Sankranthi festival. Will they lock horns or one brother gives way to the other?